On a recent visit to Orlando, Netflix DVD.com arranged for their directors (blogger ambassadors) to have a VIP tour of Universal Studios Florida. 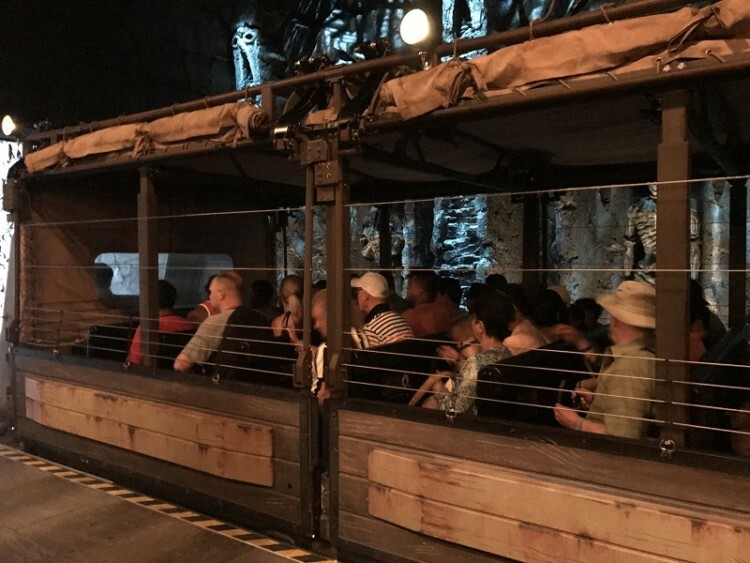 Given the incredible experiences our Exploring Experiences TravelingMom had, she knew she needed to come back and share her Universal Studios Florida Experiences here so our readers could have the same. Whether you take a VIP tour or not, there are some amazing ways to get the most from your visit to Universal Studios. My visit to Universal Studios Florida really made for an amazing day during my solo-working trip to Orlando. From rides to shows and from eateries to activities, Universal Studios offers so many wonderful ways to experience fun as a family. When you plan your next visit to Orlando, keep these amazing Universal Studios experiences in mind. As guests of Universal and NetflixDVD.com, we were treated to a VIP tour. After having experienced that, it’s going to be a little hard to experience Universal Studios Florida any other way. 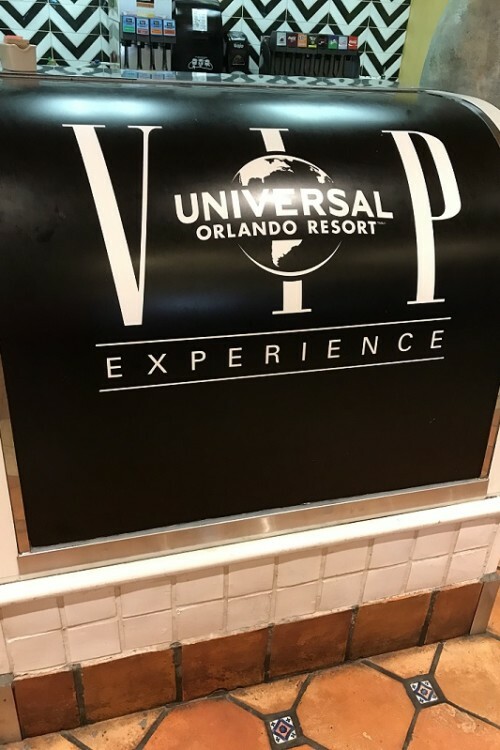 On our VIP Experience guided tour, we were led by a Universal Orlando expert through Universal Studios Florida. He led us through the park while sharing interesting trivia tidbits and taking us to the front of the line of the rides we WANTED to ride. He even let us in on some unique Universal Studios Florida experiences we can have, that not many visitors know about, like walking through walls in the Wizarding World of Harry Potter. Oh my deliciousness! When you have worked up an appetite having Universal Studios Florida experiences, you want a meal that is going to fill you up. The Universal Studios VIP Dining experience did just that. It was a peaceful air-conditioned luxurious setting to relax and dine while reflecting on the fun we’ve had and plan for more. The dining upgrade to the VIP tour is definitely worth it. The buffet offered a plethora of options such as pork, chicken, fish, and beef. We might have made a few trips up fill our bellies. Not only was there plenty to choose from, but there were also no lines. Of course, we saved room for dessert. Brownies, tarts, chocolate-covered strawberries – there was no way we were leaving the VIP dining without experiencing it all. While this might not have been a ride, it was certainly one of my favorite Universal Studios Florida experiences. These rides thrill guests through experiences! No riding scary roller coasters required. Even though I’m a bit of a scaredy cat when it comes to roller coasters, I found plenty of high thrill rides at Universal Studios Florida. 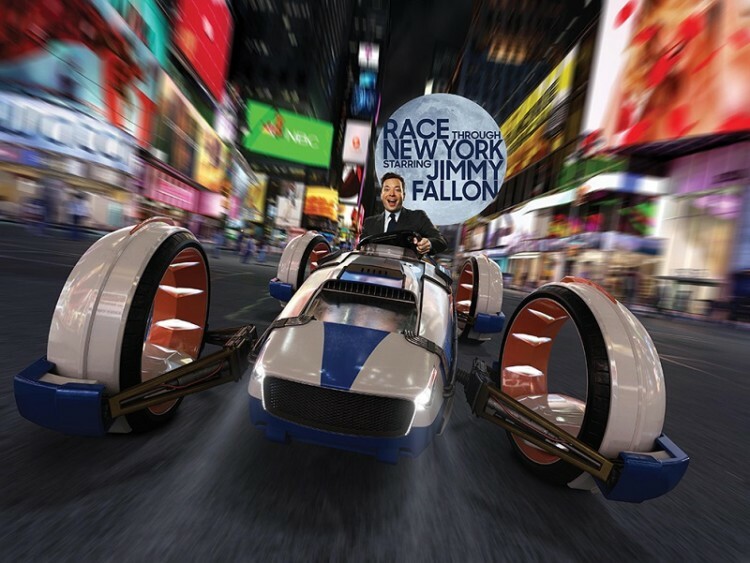 Race Through New York Starring Jimmy Fallon – I can remember watching the Tonight Show when Jimmy Fallon was promoting this new ride. It was as exciting as he made it out to be. During the ride, you are racing against Jimmy to get through New York City. Along the way, I saw – or rather, ran into – many “classic” figures from the show, including hashtag. It was fun feeling like I was almost a part of his nightly episode. From the Universal Studios press images you can get a look of what you can experience on the Tonight Show Ride. 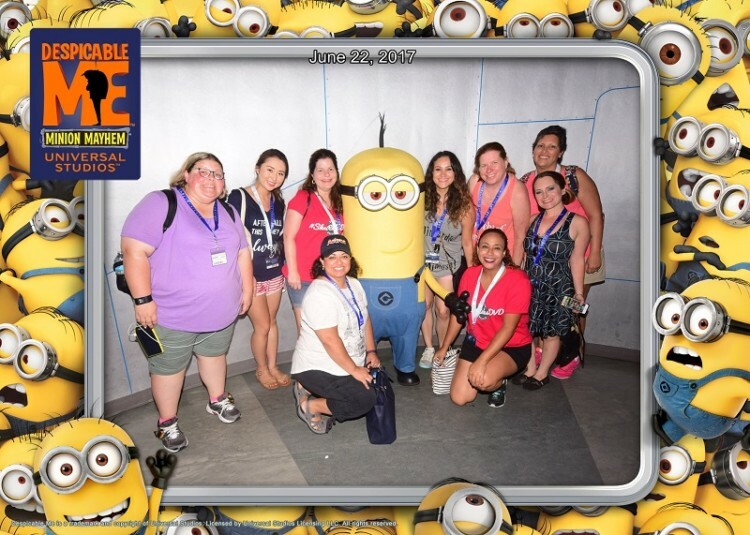 Despicable Me Minion Mayhem – This was a cute, yet action-packed simulation ride at Universal Studios Florida. While I was seated, I felt like I was on an action-packed adventure helping Gru’s kids out for the day. While the kids’ intentions were good, things don’t go as planned. All kinds of mayhem break out that had me laughing, awwing, and holding onto my seat. Skull Island: Reign of Kong – This is a beast of an adventure. As I traveled through Skull Island on a safari, it was easy to forget that what I was seeing is not real. There are all kinds of gigantic creatures that attempted to have me for their next meal. I jumped, squealed, and was squirted as I squirmed to avoid their grasp. This is not for the faint of heart (the type that is scared of King Kong), but if you want an epic adventure that doesn’t require a love of roller coasters, this is it. Any visit to Universal Studios Florida requires visiting the Wizarding World of Harry Potter for a spellbinding experience. Here’s a bit about the Harry Potter activities that became part of my Universal Studios Florida experiences. While I’ve returned to reality, they are still with me in memories and pictures. 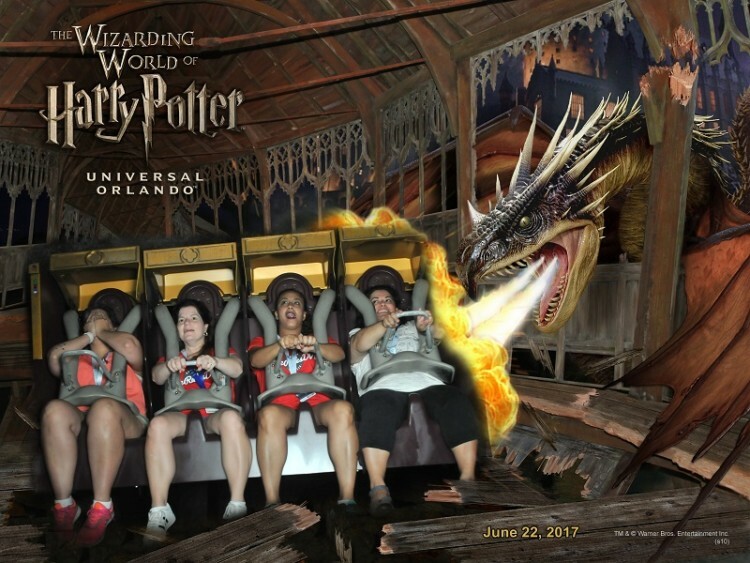 On this Harry Potter ride, I sat in a seat that felt like I was riding a broomstick. I entered through the towering castle gates and made my way down the corridors of Hogwarts School of Witchcraft and Wizardry. After that, I headed outside where I soared above the castle grounds with Harry and his friends. I even came face to face with one of the movie’s magical creatures. While in the Harry Potter area of Universal Studios Florida you can take the Hogwarts™ Express to and from King’s Cross Station. This is unlike any train ride you’ve been on. While I rode the train, I took in the magical view from the windows. Instead of looking out to the “regular” outside, I saw images projected onto the windows that made me feel like I was really on a journey through Hogsmeade. There is actually a special spot at King’s Cross Station where guests can “walk” through a wall. Take a look at more of my Universal Studios Florida pictures in this Facebook album. You can also read what other TravelingMoms have had to say about Universal Studios Florida in these articles. You can learn about visiting other Universal Studios in these articles. Universal Studios Singapore by Heather B. 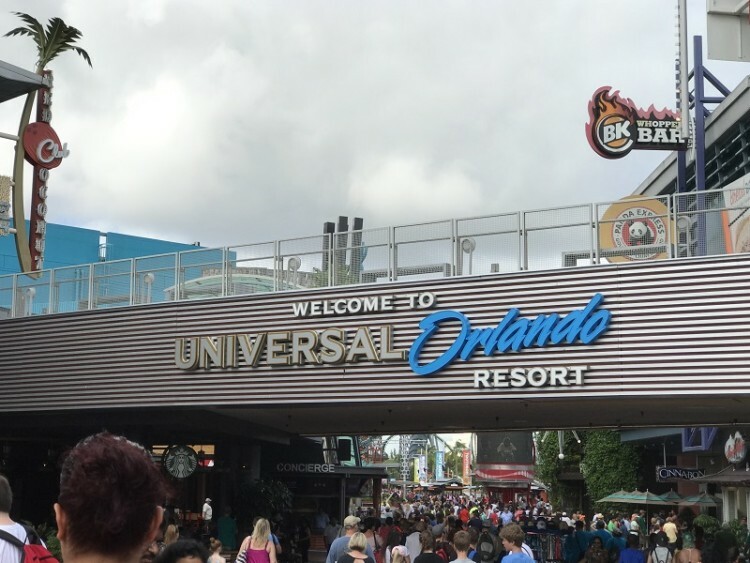 Have you been to Universal Studios Florida? What are some of your favorite Universal Studios Florida Experiences? Jennifer Auer is a hyperlocal mom blogger from New Jersey who can’t sit still. Her husband likes to say she’s a work-at-home mom who never stays home. Jennifer started traveling as a child and hasn’t stopped. She doesn’t let her husband and three boys slow her down. Instead, she brings them along, believing boys behave better when they are out exploring. As her boys start to become teens there are still so many places she wants to discover with them both across the United States and internationally. Together on family adventures, they’ve learned to ski the slopes, kayak along the Chesapeake Bay, dig at an archaeological site, make chocolate by hand at a chocolate factory, and climb a stairway to heaven. There may be no stopping them. 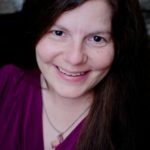 Jennifer created and manages Jersey Family Fun, a blog and resource site where her and other moms blog about how to have family fun in New Jersey and the surrounding area.